Investigative journalism is not without its risks. Aside from the low pay and dwindling ad rates it is not uncommon for a reporter to switch consciousness with a gorilla. 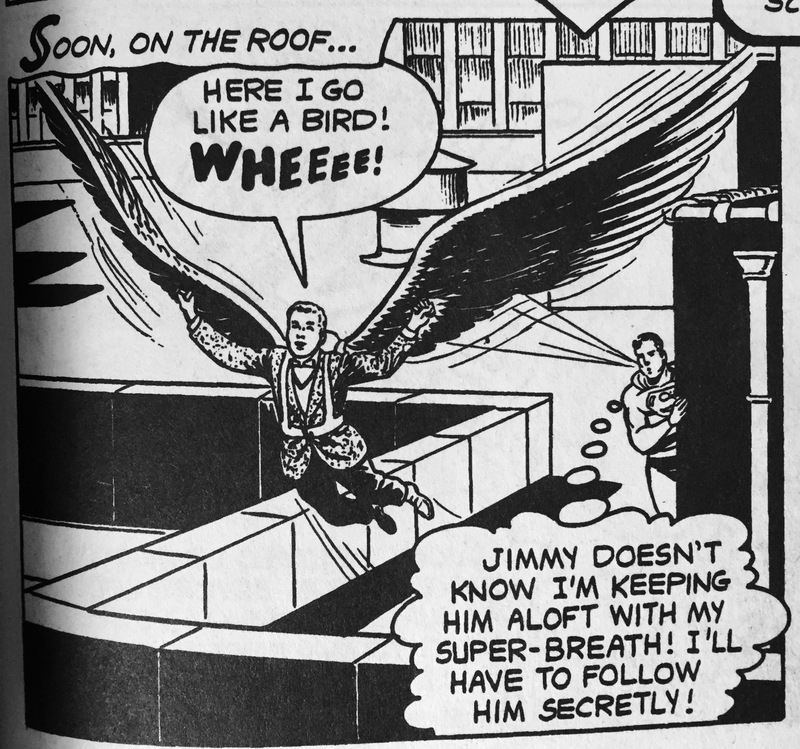 I know what you’re thinking: “But Jimmy, switching consciousness with a gorilla sounds like a very unusual occurrence.” Oh, yeah? Then why has it happened to me not once, not twice, but THREE TIMES??? Sometimes I can talk when I’m a gorilla, other times not so much. There’s no internal logic to my life. The first time I switched bodies with a gorilla I was doing a fluff piece on a crackpot inventor. I do these a lot and never take the crackpots seriously despite the fact that I always let them experiment on me and ALWAYS end up with some kind of super power or life threatening condition for a day or two. This is totally how science works. 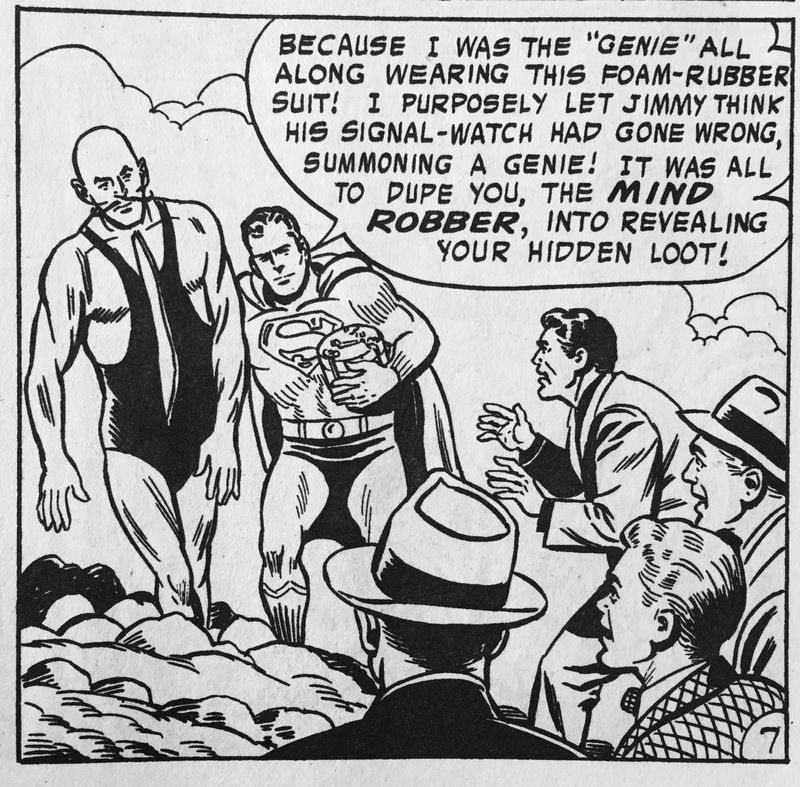 No amount of dry cleaning would fix what that gorilla did to my suit while he was in my body. So what did I do? 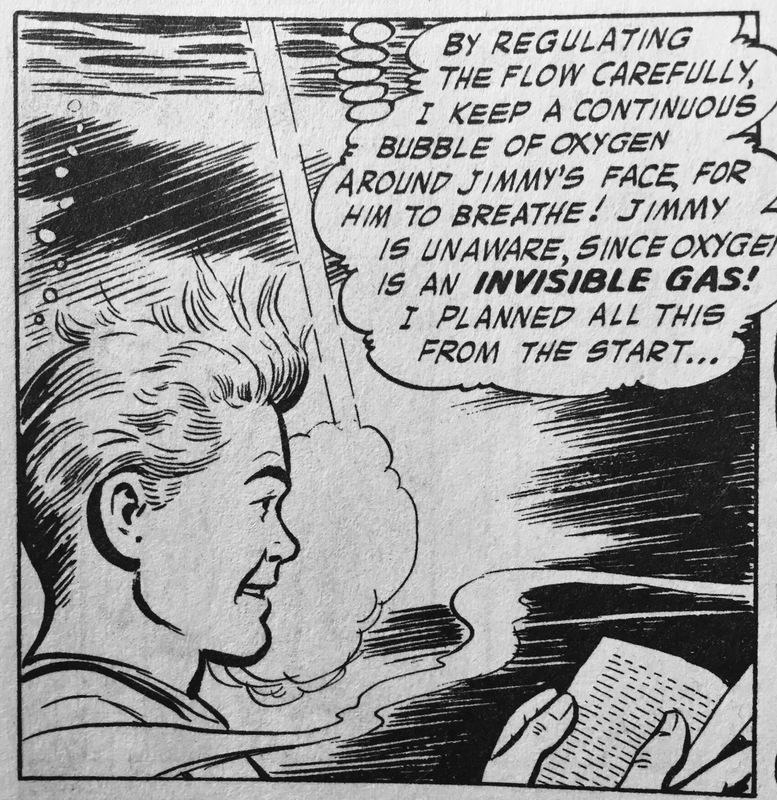 Well, naturally I consulted all the genius super-scientists I’ve met over the years to find a solution to the problem. Nah. Just kidding. I put on some ill-fitting clothes and went to work. A gorilla’s gotta eat (a lot) and I can’t afford to take a day off (unlike definitely not off on the planet Apokolips fighting Darkseid “Clark”). Yes, my coworkers did freak out at first but it took a surprisingly short amount of time to convince them not to have me shot and killed as a public menace. I guess my name is “Bonzo” now even though I’m still the same person on the inside. Science isn’t the only way you can “Vice Versa” with a gorilla. Magic rings will do the trick too! Like the time I switched bodies with Congorilla! Getting punched by a kangaroo is optional. 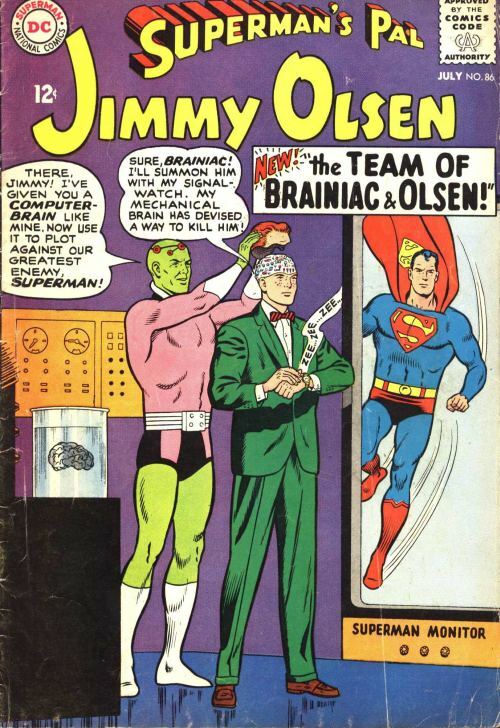 Or like that other time I switched bodies with Congorilla! I hope those bad guys don’t hear me pooping! There are probably other ways to switch bodies with a gorilla (i.e. brain transplant) but so far I’ve only had to deal with crackpot science and magic rings. It always seems to work out in the end though and I’ve been able to return to my human form. Sadly, “Bonzo” did not kill my boss. But every reporter knows it’s only a matter of time before they get stuck in an ape’s body forever and somewhere out there is a gorilla’s brain with their name on it. That’s me on the left. Also, on the right. Let’s talk about my friend Lois Lane. Well, friend may be pushing it. She’s someone I work with who terrifies me. Why is she terrifying? Maybe it has something to do with the fact that she broke the glass ceiling in a man’s world and is constantly being punished for it by her friends, colleagues, and her a-hole boyfriend who doesn’t trust her enough to give her a Secret Signal Watch or tell her his “secret” identity (psst! I’m talking about Superman). 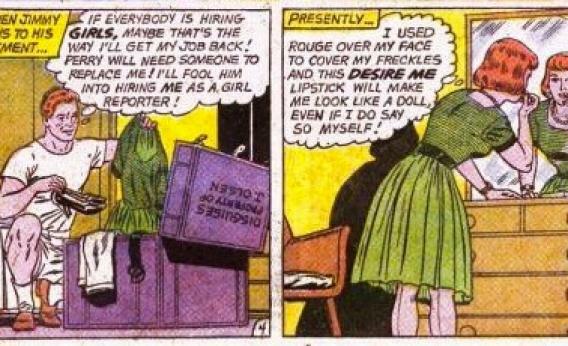 Let’s get one thing straight from the start: Lois Lane is a damn fine reporter. This was during her Jackie O. phase. And then she picked up the phone and hit Perry in the face with it. …and she managed to win a Pulitzer Prize despite Perry White constantly throwing all kinds of sexist assignments at her. Remind me to tell you about that globe sometimes (SPOILER ALERT: it spins). 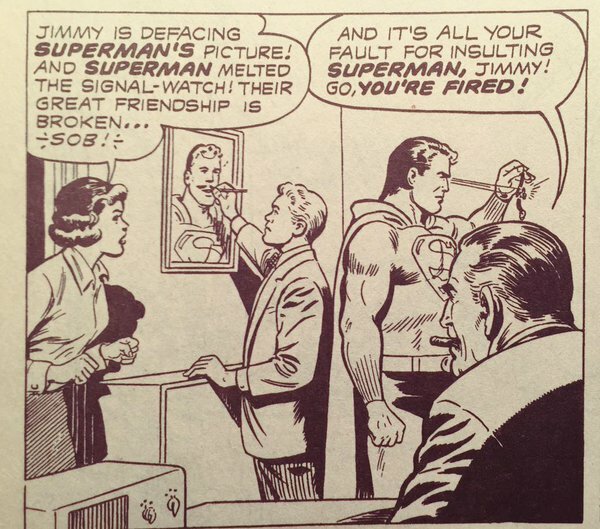 Not to mention the fact that she has to put up with “Clark’s” sexual harassment. This is all to say she’s the best journalist I know. She has to be. 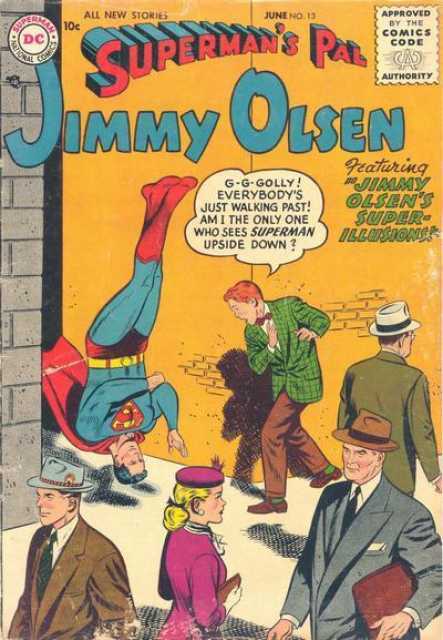 “Clark” may be able to take as many “sick” days that correspond to Superman’s outer space trips as he likes but Lois is held to a different standard, a standard that demands she be “slender” and “pretty” in addition to brilliant and competent but will still always label her a “girl reporter” no matter how good she is. 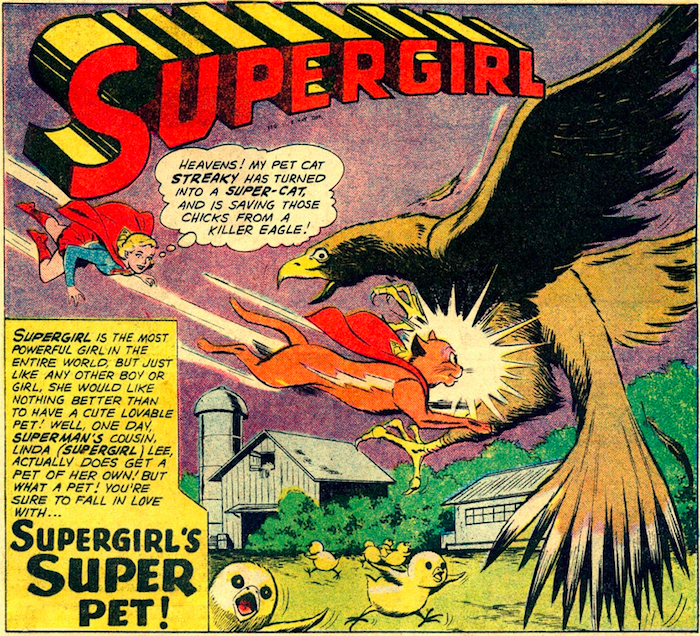 Take, for example, the time a magician claiming to be Circe, the ancient witch of Greek mythology, drugged Lois and hypnotized her into thinking her head had transformed into that of a giant cat. This type of stuff happens more often than you’d think in our line of work. Oh, sure. Maybe she over-reacted by having a giant lead-lined aluminum box built to hide her imagined giant cat head and retreating from all human interaction but did she deserve what came next? Silly Lois. Believing that “female space pilot” stuff! Ha ha! Then he throws two buzz saws at her head. Yeah. 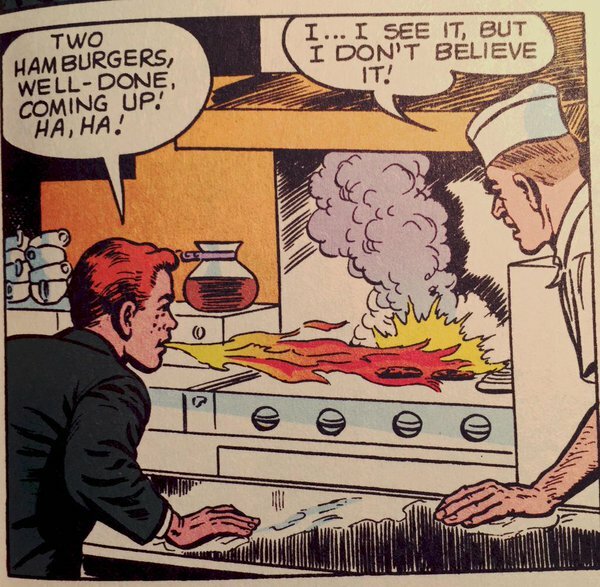 You check on that “hunch,” Superman! I think that bears repeating. HE THREW TWO BUZZ SAWS AT HER HEAD. And that’s not even the most insensitive thing he did that day. Hey, guys. 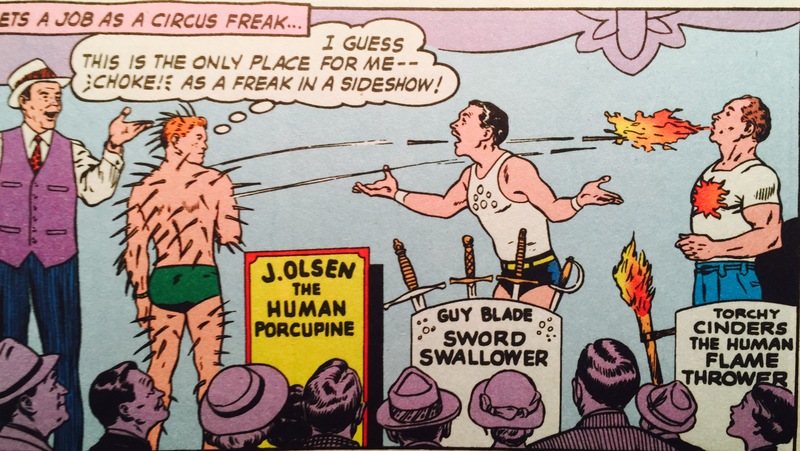 Let’s stand around and talk about Lois’s psychological problems like she’s not here. 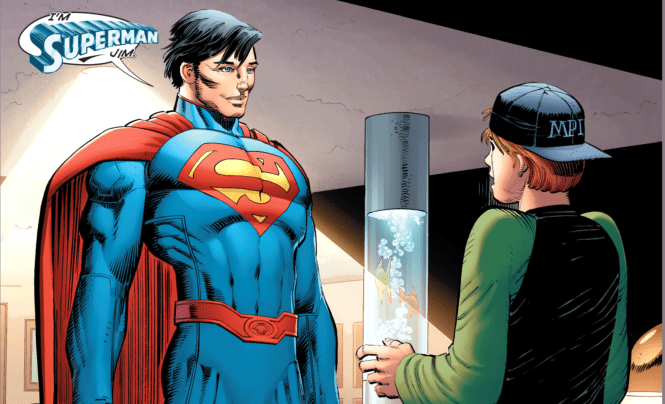 Yes, Superman goes to restaurants. 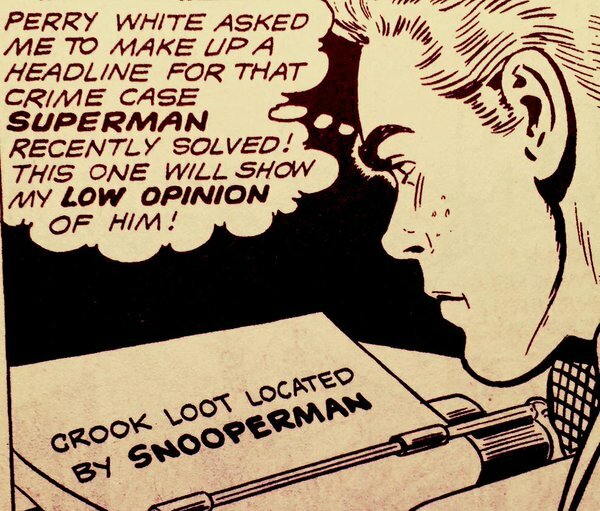 Let’s get one thing straight, “snooping” and being “curious” is Lois Lane’s GODDAMN JOB. There’s no lesson to be taught. She was drugged and psychologically tortured while trying to unmask a psychic fraud. 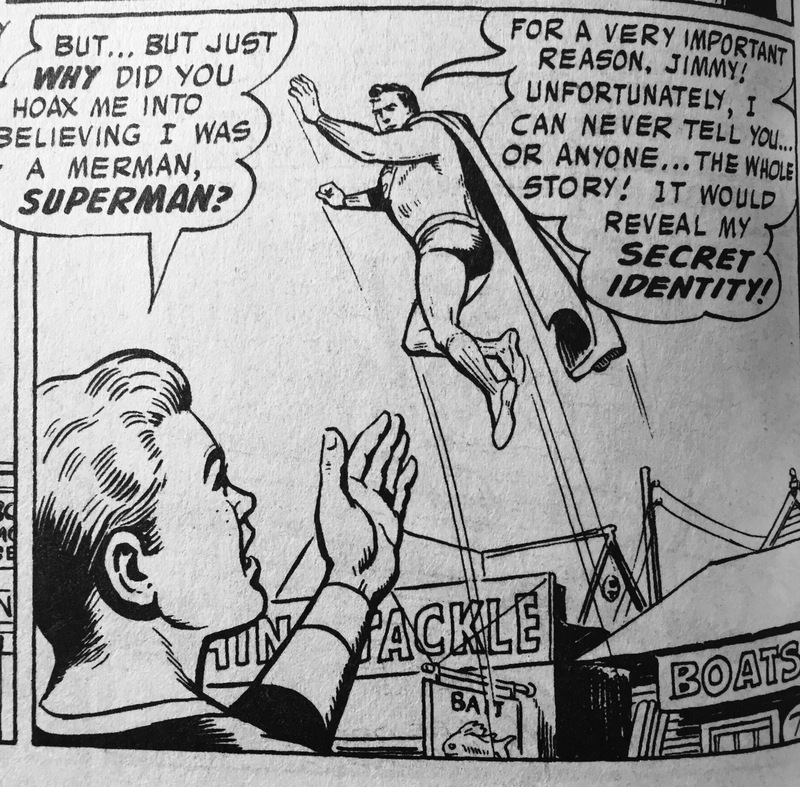 Do you know how dangerous psychics are, Superman? They prey upon people suffering from tragedies for profit. 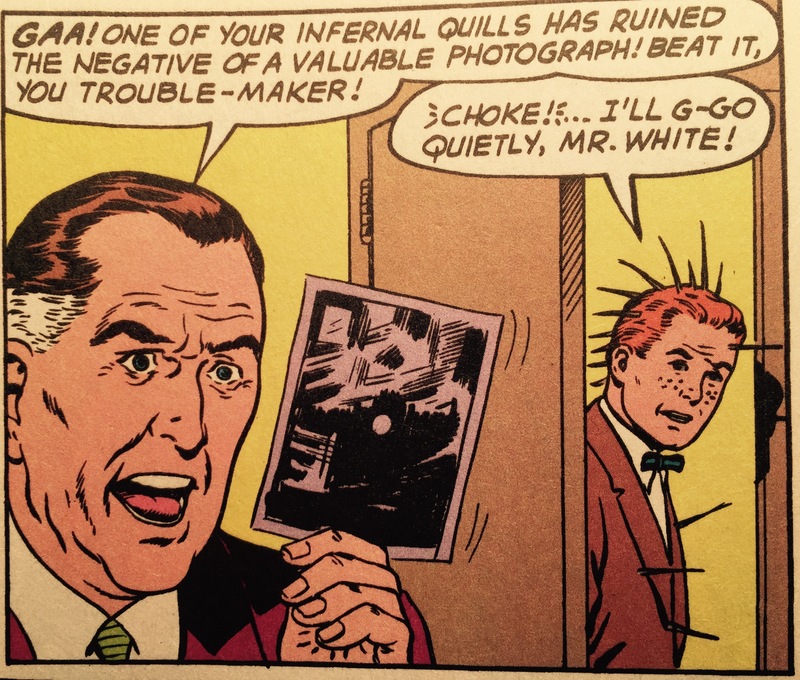 Also, remember how you BROKE INTO LOIS’S HOUSE AND READ HER DIARY THAT DAY??? Snoop. Never mind that you wanted to perform plastic surgery on her with your “super sensitive” hands. 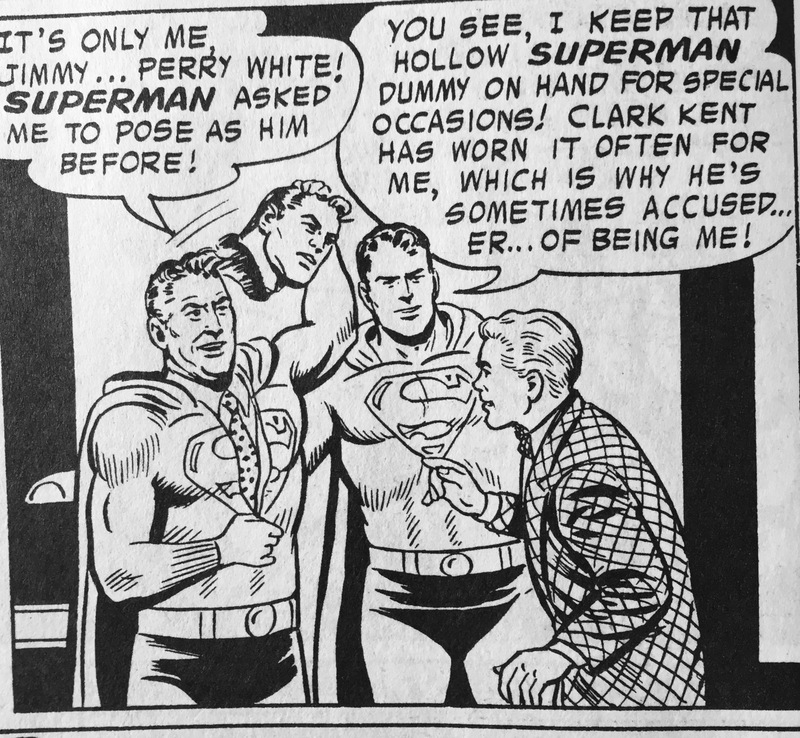 To sum up: Lois is great, “Clark” is a creep, Superman’s a hypocrite, and Perry White is a raging misogynist. 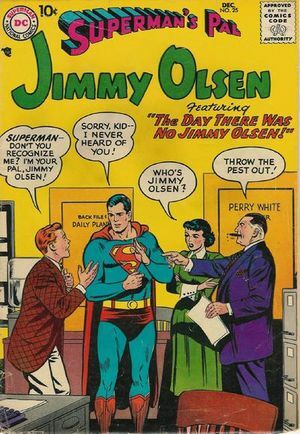 Also, Superman stuck Lois with the check at that restaurant. There’s no room for wallets in that outfit.